Finely divided copper particles. Protects and seals up to 2000 Fahrenheit (1090 degree). If you have any questions about this product by Cyclo, contact us by completing and submitting the form below. If you are looking for a specif part number, please include it with your message. 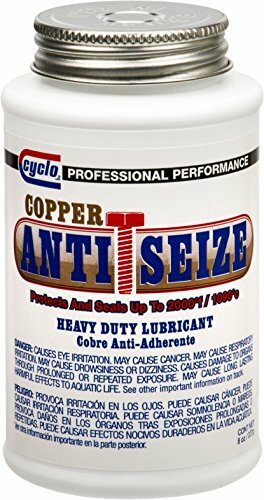 Loctite 51269 LB N-5000 High Purity Anti-Seize Brush Top Can, 1 lb.